August 31, 2018 This article has been updated because of the release of the two new AMD Threadripper chips. You can now pick up both the top-end 32-core and the 16-core second-gen AMD Threadripper chips. The Ryzen Threadripper 2990WX launched on August 13, 2018, while the Ryzen Threadripper 2950X has just launched today. 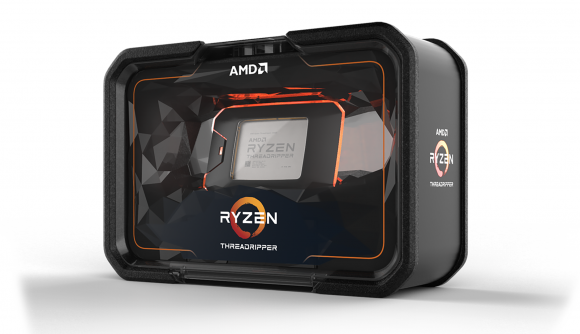 The two remaining Threadripper 2 models – the Ryzen Threadripper 2970X and Ryzen Threadripper 2920X – won’t be available on the shelves until a still-unspecified date in October. Those are the 24-core, 48-thread and 12-core, 24-thread parts that will complete the full second generation HEDT Ryzen lineup this year. The AMD Ryzen Threadripper 2990WX leads the charge with its ludicrous 32-cores and 64-threads of simultaneously multi-threaded compute power. It features a base clock of 3GHz and boost up to an impressive 4.2GHz right out of the box. It will also come with 64MB of super speedy L3 cache and run with a 250W TDP. For the privilege, you’re going to have to cough up a cool $1,749. 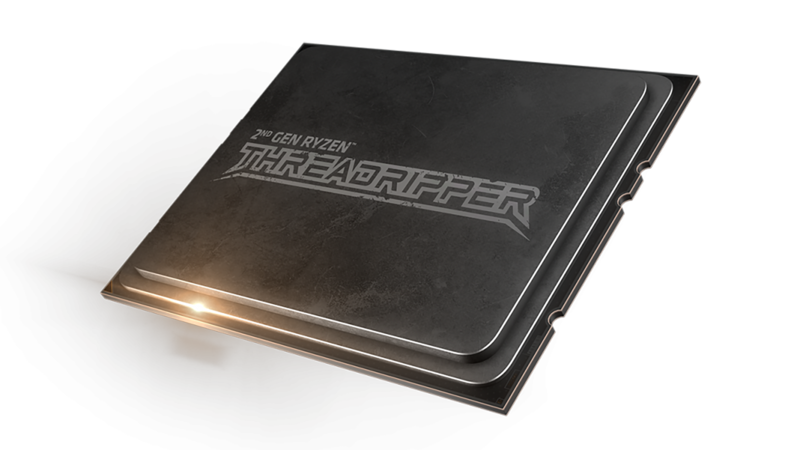 The second chip, launching today, is the Ryzen Threadripper 2950X. This is a 16-core / 32-thread chip that boosts a little higher than the preeminent chip, at 3.5GHz base and 4.4GHz boost. It also comes with half the L3 cache, fitting for half the cores, and just a 180W TDP. With this CPU priced at $899, you’ll have to part with half the cash, too. And as for the October launch, the Ryzen Threadripper 2970WX features 24 cores of processing power with simultaneous hyperthreading enabled for a total of 48 threads. These will be clocked up to the same speeds as the 2990WX, at 3GHz base and 4.2GHz boost, and will also have access to an identical 64MB of L3 cache. All for the slightly less than three quarters of the price as the top-end chip, coming in at $1,299. Last, and technically least, is the Ryzen Threadripper 2920X. This 12-core / 24-thread chip might be the bottom of the stack, but with a 3.5GHz base clock and 4.3GHz boost clock it sure has a lot of promise. It also features 32MB of L3 cache, comfortably slips in at just a 180W TDP, and will cost you $649 when it eventually launches in October. All of these chips support AMD’s TR4 socket, the same one as the first-gen HEDT chips, and support up to 64 lanes of Gen 3 PCIe. As far as we know, the X399 motherboard platform won’t be receiving a refresh, but there might be a few more motherboards incoming to compliment the chips’ launch. With Intel supposedly set for a Basin Falls refresh before the end of the year, the battle for HEDT supremacy could be just heating up (seriously). AMD currently has the upper hand going forward, and its Threadripper 2 chips will even run on air alone. However, if Intel really can deliver a 28-core chip by the end of the year – one that won’t end up as a ball of flame running without an industrial air-conditioning unit attached to it – then AMD might have a fight on its hands.